Arijan Ademi will now only be banned until October. The Court of Arbitration for Sport (CAS) has cut Arijan Ademi's doping ban from four years to two after the Dinamo Zagreb and Macedonia midfielder persuaded an appeal panel he had not intentionally cheated. Ademi, 26, tested positive for the steroid stanozolol after Dinamo's 2-1 Champions League win over Arsenal in September 2015. Two months later, European football's governing body UEFA gave him a four-year ban. A UEFA appeals panel upheld that decision last May. Ademi then took his fight to sport's highest court, asking CAS to overturn the ban completely as he failed the test because of a contaminated supplement prescribed after an injury. In a statement, CAS said: "The panel found that while the player discharged his burden of proving lack of intent, it could not uphold the player's argument that the challenged decision should be annulled. "Instead, as the panel found a reduction in the period of ineligibility was appropriate, the appeal was partially upheld." Having always denied any intentional wrongdoing, Ademi, who switched his international allegiance from Croatia to Macedonia in 2014, will now be eligible for club and country from October. Following that Champions League defeat, Arsenal manager Arsene Wenger suggested Dinamo should have been disqualified from the Champions League and accused UEFA of being soft on doping. 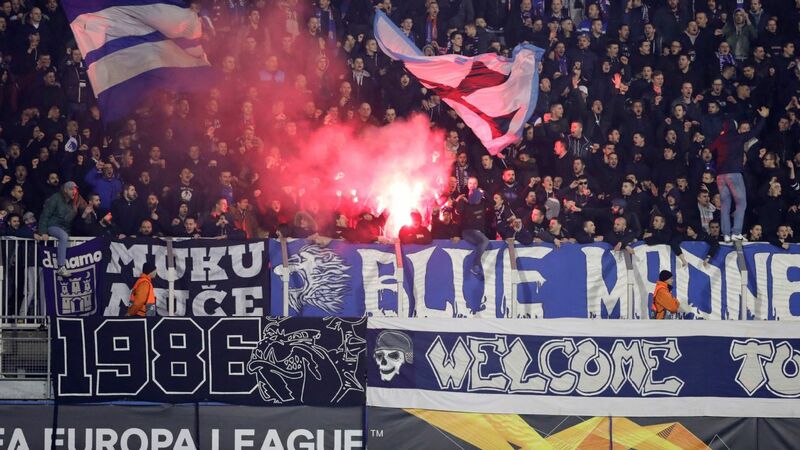 His claims drew an angry response from Dinamo and the governing body.